The US is now admitting mistakes and launching investigations into civilian killings in Afghanistan and Pakistan. Yet, the 2009 killing of innocent children and women in al-Majala in Yemen by a US missile is still an open secret, jeopardizing the US mission in Yemen and Yemeni feelings towards the US. The cruise missile attack on the Yemeni village of al-Majala in the Southern Abyan province – now largely under the control of al-Qaeda – is burned in the memory of many Yemeni people. This first covert attack of the Obama administration on al-Qaeda in Yemen was a huge embarrassment. Yet, with the US administration still neither admitting nor denying the attack, the case is not closed and it must stay alive in post-Saleh Yemen. On 17 December 2009, a US Navey vessel stationed in the Gulf launched at least one cruise missile on al-Majala killing at 55 people, among them 14 women (5 pregnant), 21 children and 14 alleged members of al-Qaede (only one name has been identified). The target of the US attack was Saleh Mohammed al-Anbouri, also known as Mohammad al-Kazemi, who was alleged to have links to al-Qaeda in the Arabian Peninsula (AQAP). Al-Anbouri was just released from prison and was living with his family in the al-Majala where also the extended al Haydara was living. While the missile attack managed to kill an-Anbouri, it annihilated most of the village with him. A collateral damage, as some might want to call, for which not a single American official has apologized. Essentially, what we know about the incident in al-Majala is a result of some few investigations by media and human rights organizations. Amnesty International released forensic evidence of the US missile and fragments of cluster bomb in its 2010 report ‘Yemen: Cracking Down Under Pressure’. It described the attack as a further example of “unlawful killings in violation of their (the women’s and children’s) right to life”. Right after the attack, Al-Jazeera released some very graphic images of shrouded bodies of women and children. In a recent documentary called America’s Dangerous Game, it interviewed some of the eyewitnesses who told a heart-breaking story of the faith of that poor tribe. Ultimately, the al-Majala killings radicalized people in the region and contributed to the latest victory of al-Qaeda there. 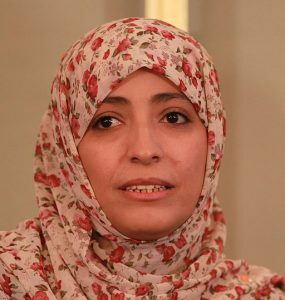 The inquiry commission which was convened by the Yemeni parliament after the attack was headed by Sheikh Hamir Al-Ahmar, a leading member of the president’s ruling party. It concluded that, along with an-Anbouri and the 44 civilians, 13 militants were also killed, although only one could be named, Abdulrahman Qaed Al-Zammari. The results of this inquiry were accepted by the Yemeni government and compensations were said to have been paid at local rates. American authorities were not involved in the process as they are still not admitting their involvement in the attack. 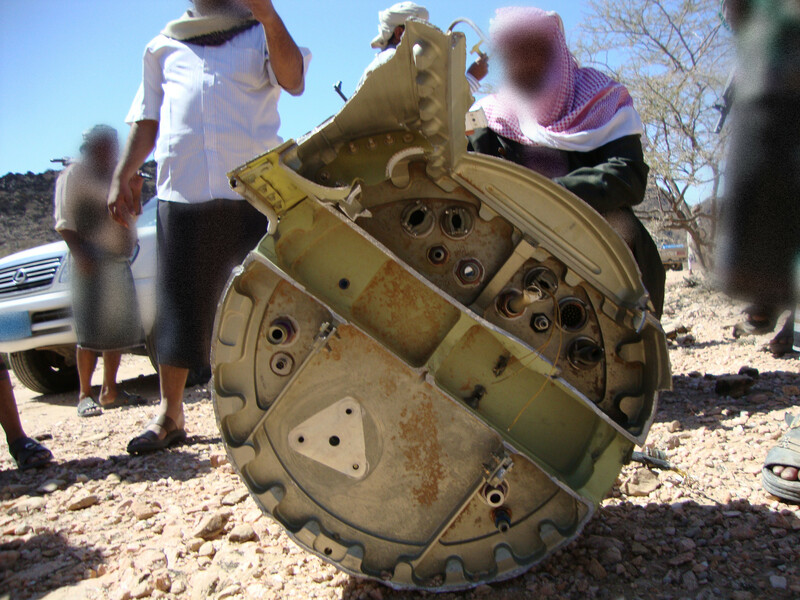 The fragments of US missiles found on the scene were dismissed as Yemeni equipment purchased from the US. Under Saleh, the Yemeni government was involved in covering up any US missile or drone attack in order not to anger the public. According to the leaked documents by WikiLeaks, the issue of al-Majala came up briefly in a meeting between General David Petraeus, then head of the US Central Command, and Saleh in the capital Sana’a. According to the secret cable of 4 January 2010, Saleh praised the attack but said that “mistakes were made” in Abyan. General Petraeus responded that “only the wife and two children of an AQAP operative were killed”. Saleh was confused by this answer and plunged into a lengthy aside with his advisors. Neither the American nor the Yemeni president was sufficiently briefed about the real magnitude of the incident. 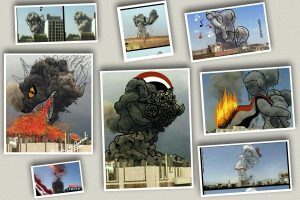 The complicity of Saleh in covering up the US unlawful attacks is well known. In the same leaked cable, the Yemeni president promised “we’ll continue saying the bombs are ours, not yours”. In fact, the US launched the same day a second cruise missile strike targeting the Qasim al-Raimi in Arhab,, who he has reportedly escaped. President Obama was reported by ABC news to have later called Saleh to “congratulate” him on the attacks and some raids conducted by the Yemeni Special Forces on Al Qaeda houses. Judging from Saleh’s ignorance during the meeting with Petraeus a couple of weeks later, the phone call with Obama must have not contained any remark to the corpses of innocent women and children running on media channels. The open secret of the US attacks in Yemen is still preserved even today as the US convert war on terror in Yemen is at its peak point following the political unrest and al-Qaeda’s expansion in the south and east. A new study by the UK-based Bureau of Investigative Journalism (TBIJ) reviewed all US covert actions in Yemen since 2001. It concluded that 75 per cent of the US drone attacks have taken place only since May of last year. Besides, around 275-390 people have been killed, 54 to 100 have been civilians and the rest were “alleged militants”. The policy toward the US attacks in Yemen has not changes with the new government of Saleh’s successor, Abd Rabbuh Mansur al-Hadi. Now more than ever, the Yemeni government is, at heart, welcoming any covert intervention and support from Saudi Arabia or the US to push back the al-Qaeda branch, Ansar al-Sharia. Some of the recent US drone attacks were even being publically admitted by anonymous military sources in an effort to remind the militants of joint force of their enemy. But until the US admits its military involvement in Yemen and accepts its moral and legal responsibility, there will be no closure in the al-Majala case. Since the US does not admit its involvement in Yemen, the results of the US investigations, if there were any at all, have not yet disclosed. This comfortable position for the US will become less so as the horrific magnitude of the al-Majala tragedy will force many to keep raising the issue. 21 innocent children were killed on that December morning, among many adults and pregnant women. When 22 Belgian school children died a couple of weeks ago in a tragic bus accident in Switzerland, whole of Europe was shocked and moments of silence were schedule by the Belgium government and across schools and public places throughout the continent. Maybe if so many innocent people had been massacred in the capital Sana’a or any other privileged part of Yemen, the government would have then requested an official apology. While Obama have recently admitted mistakes in Pakistan and his administration has launched investigation into civilian killings there, why is the blood of the al-Majala’s people the cheapest? It is not only a matter of the standing for Yemen and the new president to pressure the US on the issue. Covering up the obvious American mistake in al-Majala is only making the country less secure. Almost a month ago, it was disclosed that Abdullah Saleh of Yemen was sekineg asylum in the U.S. for medical attention. Today, the State Department issued a release explaining that his application had been approved . After killing hundreds of civilians with a harsh military fist, the disgraced head of state is now being granted medical attention in the U.S., likely the result of a bomb attack against him June 3, 2o11.